Applying for long-term disability may be complex and burdensome. As benefits are available through a contract of insurance, many claimants feel they have to “jump through hoops” to make sure they meet the criteria demanded by the insurer. Often, having the guidance of a lawyer can make a big difference in an LTD claim, in particular if a person is living with an “invisible” illness such as a mood disorder or other psychological condition. 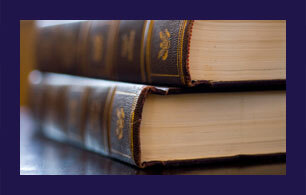 Clonfero Law Firm is a passionate group of Toronto lawyers who have chosen to work on behalf of injured people. We know that for someone already under emotional strain because of a disability, fighting with an insurance company can seem overwhelming. This is why we are here to provide information, guidance and advocacy when they need it most. When a person applies for long-term disability, they will have to document their illness or injury. This may include providing medical information from their doctors to support the claim. In some cases, the insurance company may ask for an assessment by the doctor of its choosing in addition to the information provided by the claimant. In general, they are permitted to do this by the terms of the policy. Many insurers will require the claimant to apply for Canada Pension Plan (CPP) disability benefits. Again, they are generally permitted to do this, depending on the contract of insurance. Companies will often deduct the amount of CPP from the payments they issue under the policy. Sometimes, insurers will deny a claim because there is no “objective evidence” to support the reported condition. The contract may require this, or it may not. Even if it is not stated in the contract, an insurer may still demand “objective evidence,” a demand that an LTD claimant can, in this case, fight with legal help. In all cases, long-term disability coverage and what the insurer is allowed to do depend heavily on the contract of insurance. Unfortunately, insured people may not have access to the contract and have only a policy booklet from their employer, which provides a summary of benefits. Speaking with a lawyer can help you to know what you are owed and to help you access it in your time of need. Consultations are free of charge, and we take cases on contingency, which means we do not receive payment until we secure you compensation. To make an appointment, call us at 647-557-1962 in Toronto or 1-800-603-8930 toll free in Ontario or send us an email.